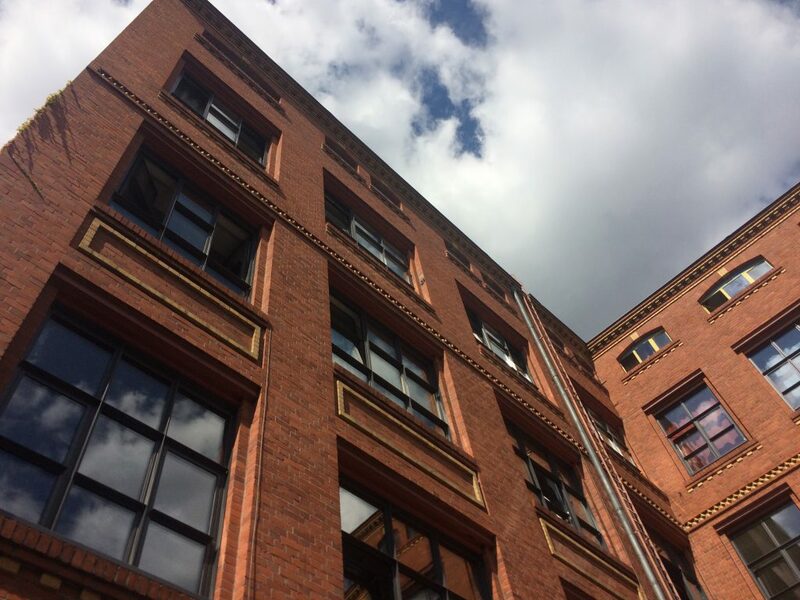 Before this place became an important social space, Fabrik Osloer Straße was used to produce matches, military machines and amunition. It was taken from the government by social organization to take care of it and to implement the wide range of social initiatives. Many initiatives share one roof here: some of them working on their own, but all of them are involved in a big idea – caring about the needs of the residents of the Wedding district. 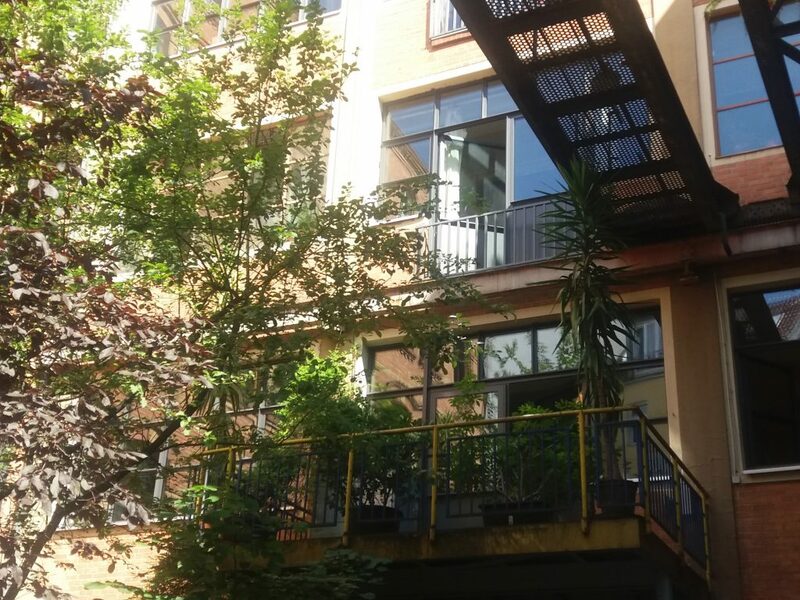 About 1000 people live here – Fabrik Osloer Straße creates friendly neighbourhood community and provides free flats for students and affordable living for refugees. The “NachbarschaftsEtage” („Neighborhood floor”) project has been the focal point for all neighbors, families, people with migration background. Students and young people can find a place for living in problematic cases and get advice from social work counsellors. Kids from all over the world play in the local kindergarden and study with tutors from the mentoring project. Social workers help them to fix their problems and provide advice about living in the neighbourhood. Children museum and workshops for teachers and caretakers in kindergarden are also available. Mentoring is also available for refugees who can take german courses. There are also some satellite initiatives like anti-violence and modern democracy project. One of the projects in Fabrik Osloer Straße is CHANCE International – international division of the NGO CHANCE BJS gGmbH, which makes educational and professional projects for youth in Germany and East Europe. Since 2009 the organization has been creating 12-15 projects every year. „Chance“ offers a wide range of projects both for local and foreign communities, the topics are very diverse: ecology, art, performances, cultural exchange and many others. Also the organisation hosts EVS volunteers from Belarus who support exchange programs. The aim of organization is engaging the youth in social initiatives, promotion of non-formal education and building bridges beetween the countries. There are many other organizations, who share common place at one place and they fit together like small pieces of big puzzle. 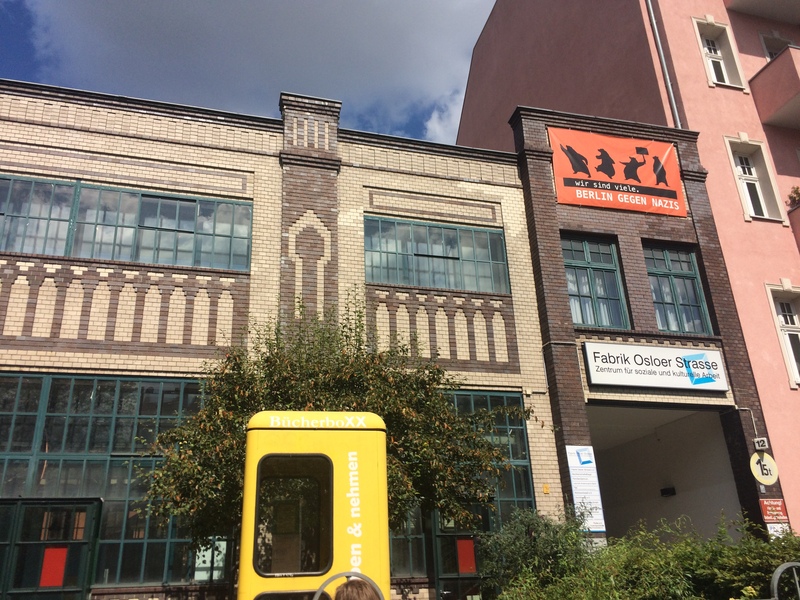 All Fabrik Osloer Straße initiatives focus on the area around them and concentrate on the needs of people who live in Wedding.